With the Easter vacation approaching, make sure you know our upcoming opening hours and borrowing policies for the break! 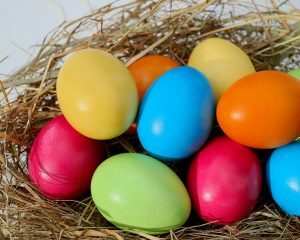 Our opening hours will be changing over the Easter Vacation period. Between Monday 1 and Friday 5 April the Library Building will be open from 09:00-17:00. Between Monday 1 and Friday 5 April the Library@URS Building will be open from 08:30-19:00. Between Saturday 6 and Tuesday 16 April we will revert to normal term-time opening hours. Please see our opening hours webpage for more information. To help with all that revision over the break, it will be ‘business as usual’ with loan periods remaining the same in vacation as all term. However, no items will be due for return between Wednesday 17 and Monday 22 April; during the University closure period. Please keep up to date with your Library account as due dates could change as items are recalled. 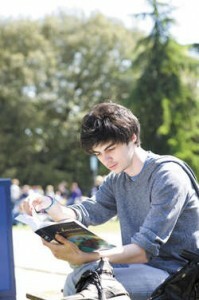 Matthew Pearson, Library User Services. The Library has now closed for the University Easter Closure period. We will re-open on Tuesday 23 April with Library@URS opening at 08:30. Please see our full opening hours for more information. Access to our online resources will stay the same despite the closure. Please use our resources as per normal via our website. If you have a Library-related query whilst we’re not here you can still get help. Chat online via the blue ‘Virtual Enquiry Service’ box on the Library homepage. 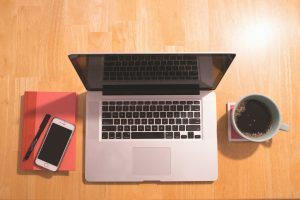 The Virtual Enquiry Service is staffed by professional librarians working remotely to answer your queries from our website and other information we’ve supplied. You can keep an email transcript of the chat. If they can’t resolve a particular issue they’ll refer you back to us when the Library re-opens. 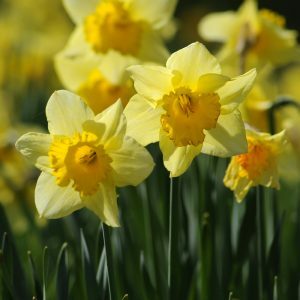 Enjoy the break and we look forward to seeing you again in the summer term! We are currently experiencing problems with resources that we link to via DOI. A DOI (Digital Object Identifier) is a unique alphanumeric string that is used to identify content and provide a persistent link to its location on the internet. An example of a resource that links via DOI is this, http://idpproxy.reading.ac.uk/login?url=https://doi.org/10.1017/9781316338773. Unfortunately one of our authentication methods is currently interfering with such linking and preventing users from accessing content. If you find a link with this problem it will take you to a webpage with a ‘Bad Gateway’ error message. This is affecting resources that are using our Proxy that link via DOI, and as such may appear in Talis, Enterprise or Summon. We are aware of the urgency of this problem and are working with the company that manages this authentication system to resolve the situation. In the meantime we have changed links in Talis and Summon so that they no longer authenticate with the proxy, these changes may take up to 48 hours to complete. Once on a platform you may need to login to a resource via the institutional sign in. If you come across such an error message you can still access the resource by using our A-Z databases list to search for the platform the eBook or article is on, and then search the database using the title or author to find the resource. The problems we were experiencing accessing international content and news content on Lexis Library have now been resolved. You can now access these two platforms by using the links below. For International content these are the new on campus and off campus links. For News content these are the new on campus and off campus links. We will be updating the Library website with the new links shortly. In the meantime please use the above links for access to Lexis’ international and news platforms. To access all other areas of the Lexis platform please use the links found on the A-Z database. If you are still having any problems with access, please contact us at eresourceshelp@reading.ac.uk or submit an e-resources problem report form. Get your requests in before our deadlines to collect items in time for the Easter closure that are not found on our subject floors! Closed Access items will need to be requested before 10:30 on Tuesday 16 April. Normal service will resume on Tuesday 23 April with the first Closed Access collection on that day and the first Store collection on Thursday 25 April. For more information and detailed instructions on how to make Closed Access and Store requests, check out the ‘Requesting items from Store and Closed Access‘ information page or our Store items video guide. Despite opening extensive hours from Saturday 6 April until Friday 14 June, please note access restrictions to Library buildings. From Monday to Friday, Library space is reserved for University Campus and Library Card holders only. Visitors are only permitted at weekends with prior arrangement. 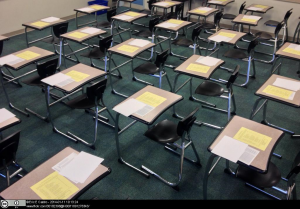 This is to prevent disruption to our revising students from non-University members, right until their last exam is over. You already need your campus card to enter the Library building at all times. You will also need your card to enter Library@URS after 17:00 and before 08:30 on weekdays, and all weekend. When other doors are locked, please enter by the right-hand doors of Library@URS. Card-holders gain automatic entry by placing their Campus Card on the ‘proximity reader’ beside the right-hand door. 6 April—14 June Members of the public without cards are only admitted on weekends, by prior appointment. The Library Café will remain accessible throughout, but we apologise to visitors unable to use Café Libro during restricted periods. Whilst refurbishment works continue in the Library building this summer there will be some construction noise. 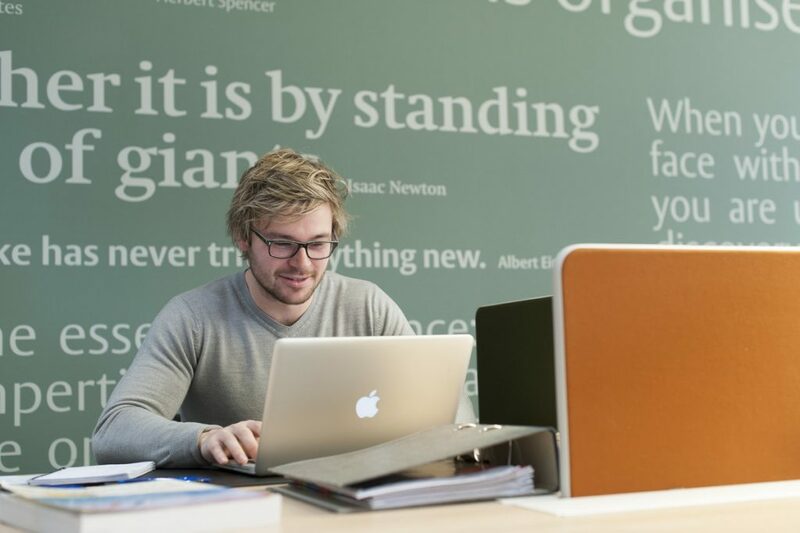 Besides the quieter Library@URS building, UoR students can also use additional study space listed on the Library Refurbishment Project page. Since the start of Spring Term, 874 of you have watched a total of 247 hours of content – mostly on Sunday or Monday nights… we won’t ask why! These are the top 5 films that you’ve been watching, and their summary from Kanopy. Marlon Riggs’ essay film TONGUES UNTIED gives voice to communities of black gay men, presenting their cultures and perspectives on the world as they confront racism, homophobia, and marginalization. An iconic piece of challenging 1960’s cinema and a gripping narrative on its own terms, L’AVVENTURA concerns the enigmatic disappearance of a young woman during a yachting trip off the coast of Sicily. Stationed in a secluded Bulgarian village in 1943, Walter, an artist and sergeant in the Wehrmacht, lives an almost idyllic life far away from the war. Then one day a transit camp is set up for Jews arriving from Greece. This film plunges us into the “typographic cauldron” of the great modern metropolis. What else will you discover? There’s a wide range of films available, as you can see from the list above. Take a look for yourself! You can browse by subject or topic, or search for a filmmaker or subject area to see what Kanopy has to offer. Simply tapping your Campus Card here will give you access to your Library account! 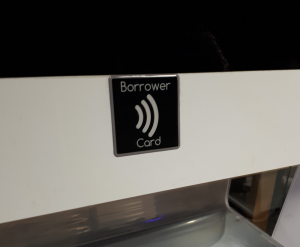 Soon you will no longer need to scan the barcode of your Campus Card to borrow items at our new Self-Service Points in the University Library. Simply holding your Campus Card up to the mifare chip reader beneath the screen will allow you to borrow items and check the status of your account as normal. Please note that the Self-Service Points in Course Collection will still require you to scan your Campus Card to be able to borrow items. Our new Self-Service Points will be updated in the week commencing 1 April. The British Council’s Language for Resilience exhibitionruns until 29 March at Reading. 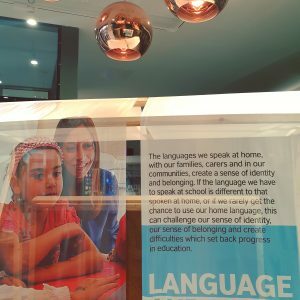 In partnership with the University, the British Council has brought the Language for Resilience exhibition to Reading. 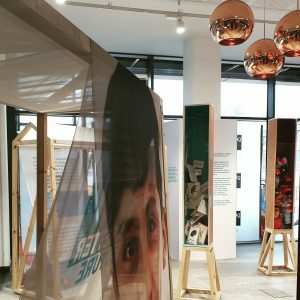 Running until 29 March, this free and public exhibition is hosted in the University Library building’s new exhibition space on its ground floor, created as part of the Library Refurbishment Project. Based on research by the University’s Dr Tony Capstick and in collaboration with international institutions across the Middle East, Africa, EU and Americas, this interactive exhibition demonstrates the ways language is used to build resilience among the millions of people that have been displaced from their homes by conflict and civil unrest. Language learning is imperative to helping refugees and communities overcome miscommunications and social barriers. This exhibition is a valuable opportunity to understand the challenges associated with building resilience, and gives a voice to the young people and adults who deserve to have their stories heard. The Language for Resilience exhibition celebrates items used in teaching languages as well as people involved. Refugees displaced by conflict often find themselves far from home, without essential language skills for even basic communication, which hinders the education and career opportunities for both themselves and their children. The exhibition aims to break down barriers by protecting the use of refugee’s home languages and allowing refugee communities to integrate with their host communities so they can feel valued within their new society. Building language resilience will reduce isolation and play a huge role in helping create a safe space for refugees to address the trauma caused by their displacement. As it stands, only 1 to 5 percent of young refugees are currently enrolled in a university programme in their host countries. Improving language skills will allow more refugees to access the information required to progress in the education system and start to rebuild their lives. For more information please visit the project Language for Resilience website. To learn more about language and migration research at the University of Reading, please visit the Centre for Literacy and Multilingualism. There are spaces still available on our upcoming EndNote Online and Mendeley workshops for undergraduates and masters students. Book your place via the ‘Library course bookings’ link on the RISISweb portal. The bookings link is located in the ‘Actions’ tab. These workshops are part of the Student Training and Experience Programme (STEP) and count towards the RED Award. Unable to make this date? If you can’t make either of these sessions but would like to know more, take a look at our reference management guide or contact your Liaison Librarian. you don’t know how to use references in your academic writing to support your discussion and critical analysis. It’s important to take referencing seriously and not just guess, or assume that you know how to do it. The consequences can be serious with marks deducted – it can even lead to accusations of academic misconduct. However, it can be confusing when you have advice and guidance on referencing from so many different sources. It’s tempting to just Google it! But that’s far less likely to give you the right answer than guidance produced at your own university. 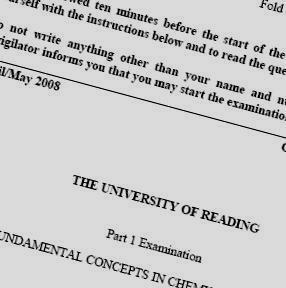 You should always check your own Course Handbook first for advice (it will be on Blackboard). If you’re a Part 1 undergraduate and have enrolled on Study Smart, you could also go back over the relevant guidance in Week 1. The guidance below focuses on three important points to help you avoid unintentional plagiarism. Whenever you include an idea that you have gained from your reading in an assignment, you must ensure that you reference it correctly, both in the text and at the end in your reference list or bibliography. If you use the original words you have found in your reading, you must mark them with quotation marks, even if you only use part of the sentence. It is not enough to give the details of where the words came from; they must be marked out, or it will look as if you are claiming them as your own words. If you are writing the idea up in your own words, don’t be tempted to just change a few words. If you use quotations inadequately or paraphrase badly it will certainly be viewed as poor academic practice and may subject your work to penalties. It may even be seen as plagiarism. Watch this brief video tutorial on using paraphrases. 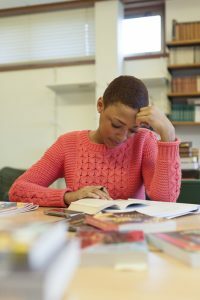 See Library and Study Advice guidance on using quotes and paraphrases. Ever looked at your notes and thought, “I wonder where that came from?” or “I wonder if those are my words or copied from the text?” It’s frustrating when you can’t be sure – but it could cause you problems if you use the material without being able to reference it accurately. To avoid this, make it a habit to have good record-keeping practices. Always note the details of each text you use (author, title, year) when you start writing notes on your reading; include page numbers as you go along, even if you are not copying text directly but writing the ideas in your own words; have a system of markers to indicate if something is a quote (put in quotation marks), an idea explained in your own words, or a query or new idea stemming from what you’re read (perhaps an asterisk *). The Study Advisers have guidance on effective note-taking and a brief video tutorial on critical note-taking with more suggestions. 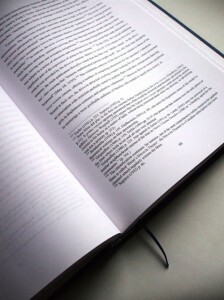 If you’re using an e-book, you may be able to make notes electronically as you’re reading the text. See the section in our LibGuide on Studying with e-books for more information. If you have an online reading list, you can also make brief notes on this – our LibGuide page on What else can I do with my list? has details. You might also consider using reference management software to keep details of your reading including all the bibliographic information. EndNote online and Mendeley are free software which work with Word to create citations and bibliographies for you. If you’re a researcher with lots of references to manage you might choose the more sophisticated Desktop EndNote. For advice on which version to use, and for self-paced training guides on EndNote, or book a place on a training workshop, see the Library’s web pages. If you have a quote but don’t know where it came from, try typing it into Google. You may find it’s better to use a short phrase rather than the whole quote; try to find a grouping of words that is less common. If you have some details of the text, you could try looking at your reading list or searching the Library catalogue. You can also look back through your Library account to see the titles of books you’ve borrowed. If you have the author and title of a journal article or even just the title of the journal and a date it may be possible to find the complete reference in Summon or one of the Library’s databases. 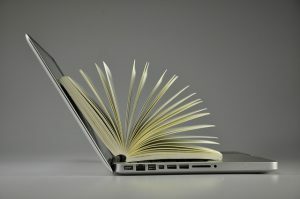 What you must never do is invent details, or include things in your assignment if you cannot be sure about the source. This may lead to accusations of academic misconduct. 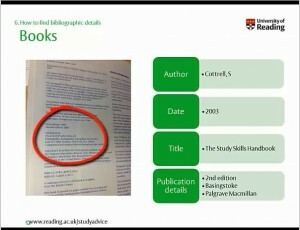 For more help watch this brief video tutorial on how to find bibliographic details. If you’re still confused, or you have a specific question about referencing that isn’t answered in our guide, you can always contact your Liaison Librarian or the Study Advice team to discuss this in person. Just remember to do it in plenty of time – the day your assignment is due to be submitted is not ideal! This tip was written by Dr Kim Shahabudin, Study Adviser and Caitlin McCulloch, Trainee Liaison Librarian.